Sea Urchins Pattern by Elizabeth Hartman. 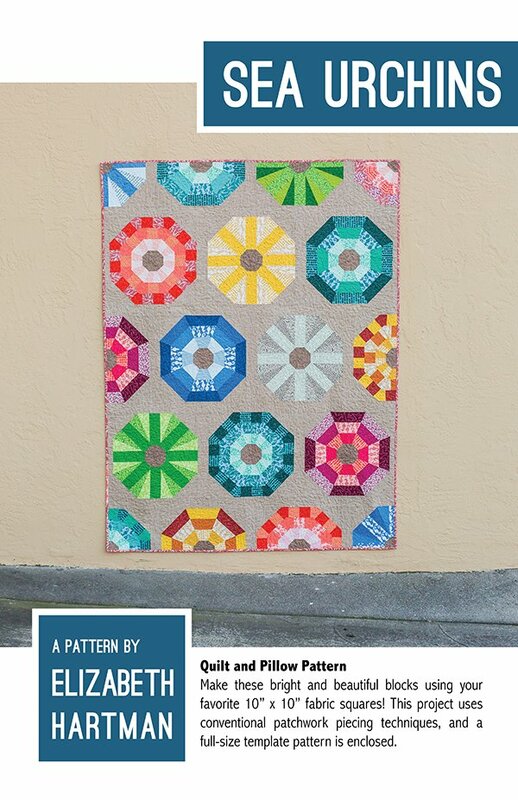 Make these bright and beautiful blocks using your favorite 10" x 10" fabric squares! This project uses conventional patchwork techniques, and a full-size template pattern is enclosed. Sizes for Pillow, Lap Quilt and Queen Quilt.